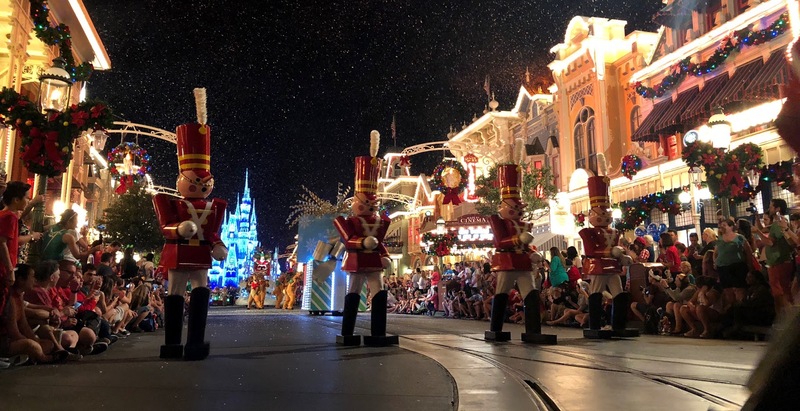 Many consider the first part of the month to 1 of the best times to visit due to moderate crowds, moderate prices, mild temps and holiday decor. The end of December has peak crowds, and good planning will be necessary to avoid lots of long lines. Traveling during a busier time means you have to be extra diligent about having a good touring plan. As long as you're zigging while other people zag, you'll do fine. Since temps in December at Disney World can get cool in the mornings and evenings, consider dressing in layers so you're comfortable throughout the day. How does our Crowd Calendar work? The "crowd level" compares each day to the rest of the year; it indicates how crowded the entire WDW Resort area is on a scale of 1-10. Using many different factors, we look at which park(s) will be the most and least crowded every day. We then mark a recommendation for each park. - Advanced dining reservations: 180 days beforehand when dining reservations open (online at 6 am EST by phone at 7:00 am EST). - In general, we recommend avoiding parks with Extra Magic Hours (EMH) because they tend to be hte busiest parks that day. - Magic Kingdom usually sees a surge on Saturdays, so other parks are usually a better choice. - Exception: Animal Kingdom because it's usually not too bad, even on EMH days. See the chart of past discounts for previous promotion dates.